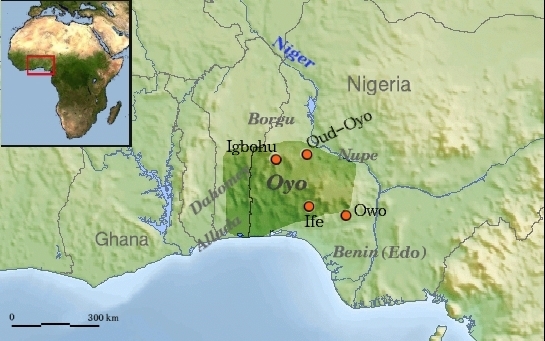 Area of Nigeria occupied by the Yoruba; millions of Yoruba settle along the coast of West Africa from Benin Republic. HELLO, this writer said, while knocking at the door, and a young lady, emerging from the building, replied, ta ni yen? When the writer heard the reply, he thought it was a mere coincidence or that his ears were deceiving him. Of course, he had every reason to be surprised since he was not anywhere near the Yoruba enclave where such a reply can only be anticipated. After all, he was more than 100 kilometres away from the nearest Yoruba community; he was in Ugbodu, a town in Aniocha North Local government Area of Delta State. “Are you a Yoruba woman; what is the meaning of ta ni yen?” The writer asked the questions at once. Reluctantly, she answered, “I am not Yoruba, o, I am just speaking my language.” Apparently, she was not unaware of the similarity between her language and Yoruba language. The lady refused to entertain any further question about her language and asked him to go to the king’s palace or to the elders if he wanted to know more about the language. At Ukwu-Nzu, only few kilometres away from Ugbodu, the language is not also different. Although, the people are less emphatic about their history, nonetheless, the similarity between their language and Yoruba is evident in their names and greetings. “Oju e ma won ke,” meaning your face is scarce in Yoruba, was what a man said to his friend he accosted on the road. [Haven’t seen you in a long while!] When Sunday Tribune approached the man, who gave his name as Ayo Oke, he shed light on his language and provided more examples between Oluku mi and Yoruba Language. He said that “instead of saying e kaabo, we say e bo, meaning welcome and wa ni we yi, meaning come here;” He also gave examples of words which virtually have the same meanings as the Yoruba language. Some of these include obe—stew; oni—today; ola—tomorrow; otunla—next tomorrow [day after tomorrow], etc. Another elder in the town, who spoke with Sunday Tribune, said that the name of Ukwu-Nzu before the Igbo Language “infiltrated” their language was Eko Efun (efun means chalk in Yoruba Language). He also attributed the efun in the name of their town to the rich presence of white chalk in the town which he said the community was richly blessed with. This essay was first published in the Nigerian Tribune of Sunday, October 24, 2010. It’s never too late to try to learn at least a little bit of oluku mi even if dad was not able to get you immersed in the language by speaking it to you. Very interesting post. ‘ Olùkù mi’ means my friend in Ìjèbú dialect. Very very interesting and illuminating. In my dialect – corner of Ondo State – oluku also means ‘friend’. Even in Bahia, Brazil among a people whose forced relocation through slavery happened centuries ago, the descendants have been able to hold on to many Yoruba cultural ways, among which is language. While they do not really speak Yoruba in that Portuguese-speaking country, words like ‘akaraje’ for AKARA … Abound in their language; so is their worship of YEMOJA and dressing for some point clearly to their Yoruba origin. The present Oni of Ife, Oba Sijuwade opened a chapter of active engagement with these Yoruba in Diaspora.